A tea cultivar is a specific sub-species of the tea plant, Camellia Sinensis. The term is often used synonymously with the term “variety”. 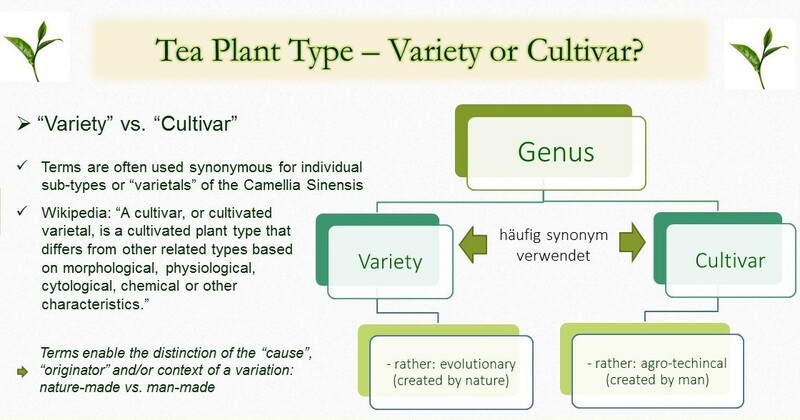 More precisely, however, the term cultivar rather points to a cultivated, ie man-made sub-species. The term variety, on the other hand, is more neutral and simply stands for a “variation of the species”. We have already heard about the adaptability of Camellia sinensis to different terroir in previous lessons. Now, let’s take a closer look at how exactly such an adaptation works. How Does A New Tea Cultivar Emerge? 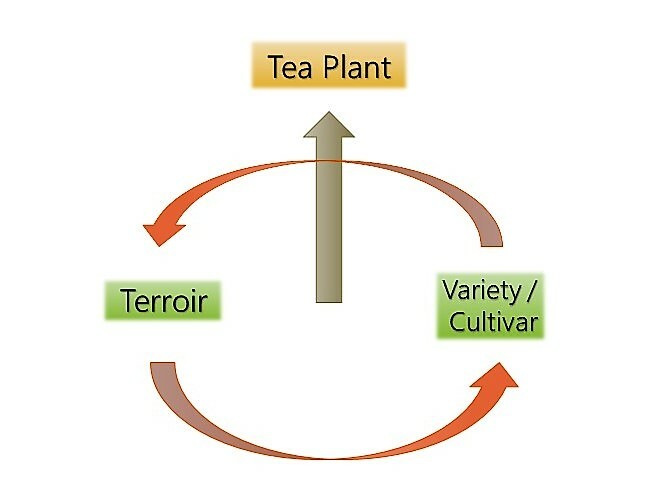 As we have seen in lesson 1, the propagation of tea plants can take place in two ways. This would once be the natural (sexual) propagation through the seed of the plant, and second the propagation through its offshoots. The latter method is also referred to as “cloning“. It is important to understand that the resulting clones are always genetically identical images of their mother plant. Adaptation processes are thus ruled out with this type of propagation. It’s a different story with a tea plant’s propagation through its seed… Here, the descendants will only remain genetically true to their mother plant with sustainably constant environmental conditions, ie terroir. In contrast, in a sustainably altered terroir, for example by transplanting to another location or changes in the climate, genetic deviations will eventually occur among the offspring. 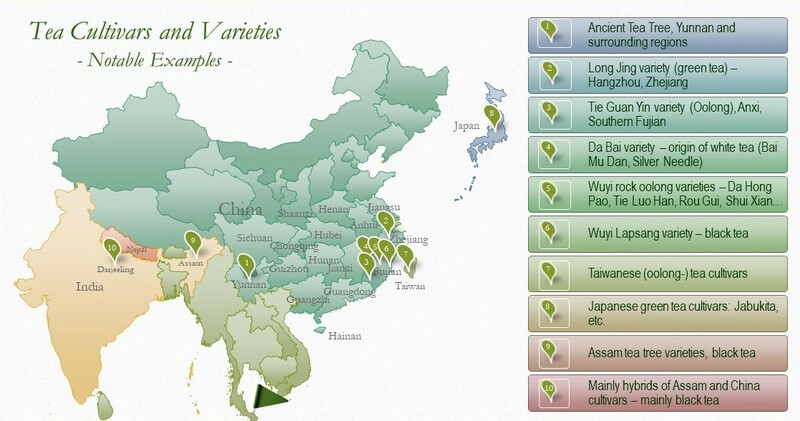 These deviations represent the tea plant’s efforts to adapt to the changed terroir. Where such a deviation prevails, via natural sexual propagation or via continuance by man through cloning, a new cultivar has been created. In nature, of course, there is only natural propagation through the seed. Thus, certain local varieties have developed in different places over long periods of time and with constant terroir. These are the classic tea plant varieties we know today. Good examples for such would once again be the Long Jing tea variety in Hangzhou or Wuyishan’s ancient rock tea varieties. If one transplants clones of such a variety to another place with a different terroir, they will achieve different results there. If the deviation in the terroir is too big, then the tea plant will not thrive at the new location, or not survive at all. For the cultivation of tea in a new place, it is therefore advisable to choose from the outset a tea cultivar or variety whose native terroir is as close as possible to that of the target location. This way, chances are good that the variety will also achieve good results in the new location. Nevertheless, tea farmers will always nurture naturally reproduced offspring at such a new location, too. Where changes (mutations) occure, they will seek to evaluate these. And in the case of positive evaluation, they will seek to continue the mutation through propagation. This way, new cultivars will emerge virtually everywhere tea cultivation is introduced.